Blumenthal Performing Arts is home to outstanding arts organizations including Charlotte Symphony, Community School of the Arts, Charlotte Ballet, On Q Productions, Opera Carolina, Studio 345 and Caroline Calouche & Company. 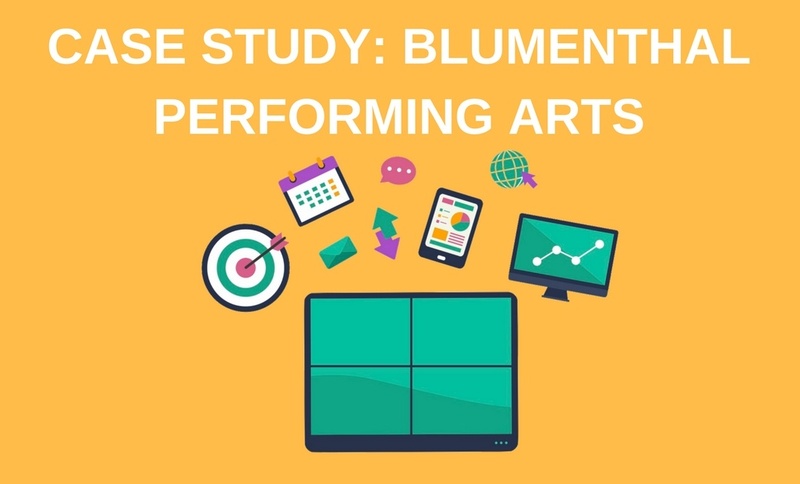 Blumenthal’s mission is to present the best in the performing arts and in partnership with others, share and employ the arts as a major catalyst to strengthen education, build community cohesiveness and advance economic growth. 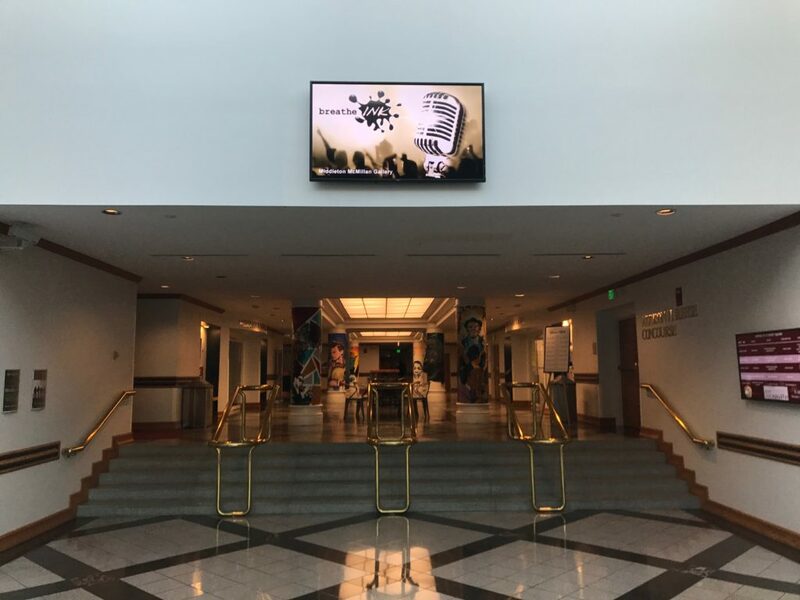 The center has become the source for the best performing arts events in Charlotte and the Carolinas, however, when it came to their communications strategy, Blumenthal was heavily relying on printed daily calendars and DVDs to promote their events. They noticed that things changed too quickly to keep the paper copies up to date and for the video content from events, the DVDs were becoming cumbersome to distribute to six venues in three campuses. They also had content coming in from outside sources and there were often playback issues with burned DVDs. All of this helped Blumenthal quickly realize that they would need to consider something new to improve their communications strategy and that’s when they started on their journey towards digital signage. 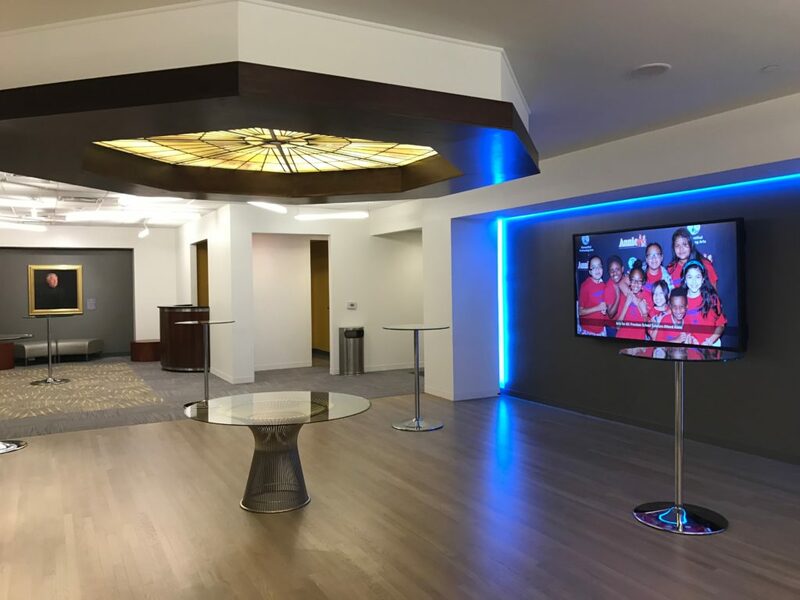 Since implementing their network of over 30 displays, Blumenthal has greatly improved the accessibility of their spaces. They now show event information and easily help people find the right dance studio, performance venue or classroom. They’ve also been able to build awareness for a broad portfolio of live entertainment by targeting an existing captive audience with their video content. When considering different digital signage software options, Blumenthal was focused on finding a cloud-based solution with the ability to move quickly and stand up displays on short notice. The main features that made Rise Vision stand out from the other solutions they considered was the web-based application and free business model. The center knew they had to do something different and more effective than their printed signs, so after evaluating three different options, they decided to go with Rise. 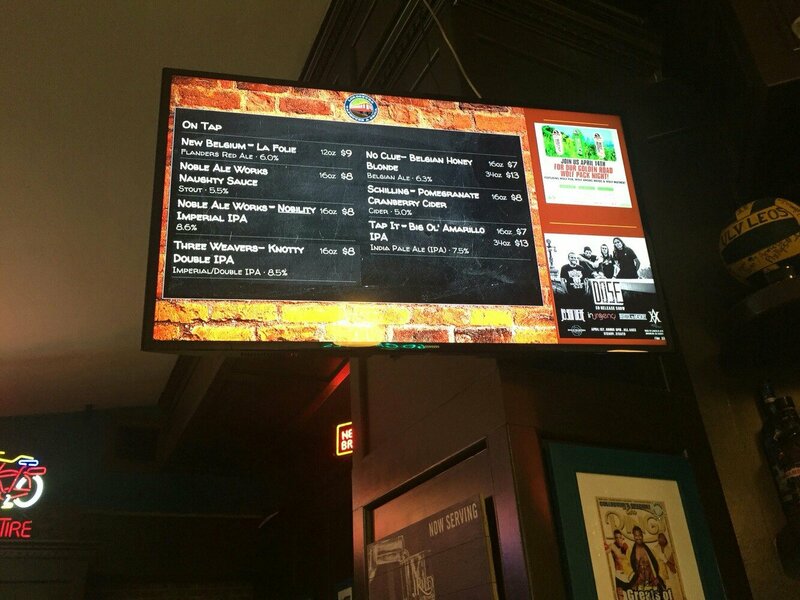 Although they had no prior knowledge or experience with digital signage, the team at Blumenthal was excited to begin. To ensure a smooth process, their technical production department was involved as well as Marketing and venue users who produced (and still do) the content for their displays. Since starting with Rise Vision in January 2014, Blumenthal has added a player about every 3 months. Today, they have 31 displays. One of their displays runs headlines and they use it to play background music in a pre-function space. There’s another one that’s portable which they put outside so it’s not always online. They’ve even recently added their first interactive touchscreen display! In August of 2016, Blumenthal had an idea for some content that was a little beyond their internal abilities and they reached out to the Rise Vision Creative Team to help. 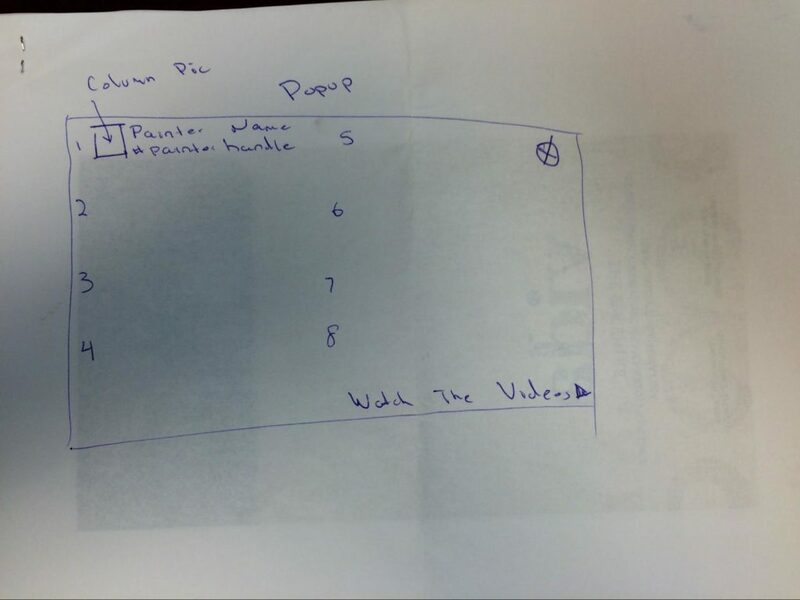 A sketch of the original idea. Blumenthal has a space called Spirit Square where local artists painted eight interior columns to honor eight famous artists from the Carolinas. They had a video team create eight videos about the columns, the artists who painted them and the artists they honor. 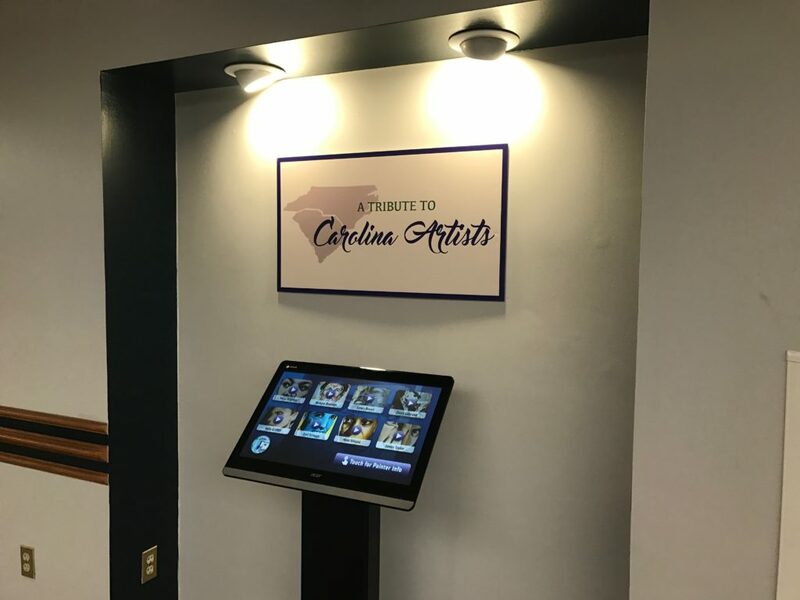 The idea was to make these videos available for viewing on a kiosk near the columns so that patrons could learn about the art as they walked through. 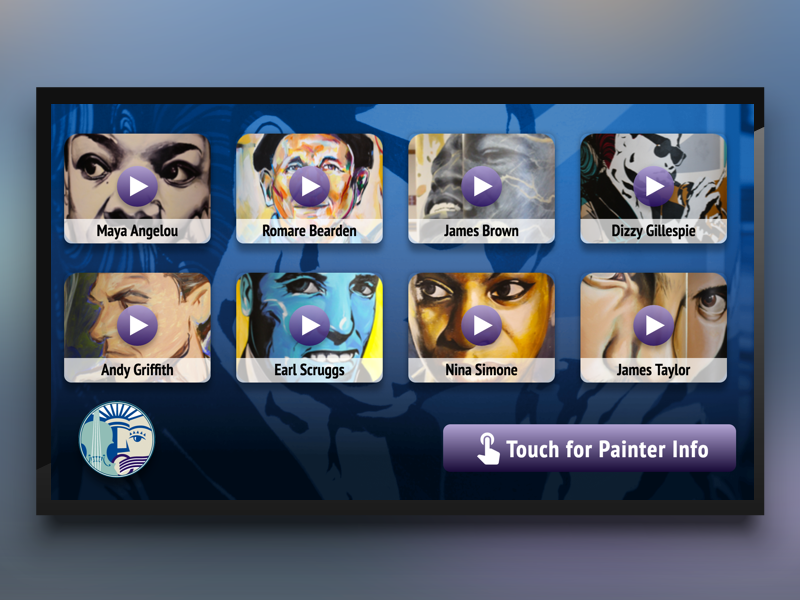 To accomplish this we created an interactive (touch) design that had two pages, one for the videos and one to recognize the artists that painted the columns. Blumenthal Spirit Square Project Wireframes. Like all interactive projects, this one started with wireframes. Wireframes are a simple black & white (or in this case blue and white) storyboard that shows at a high level what the solution will look like. We present these in a Google Slideshow so that it is easy for everyone on our team and the client's team to provide feedback. After the wireframes had been approved and all the feedback collected, we started on the full-colour static mockups of what Blumenthal's content would look like. 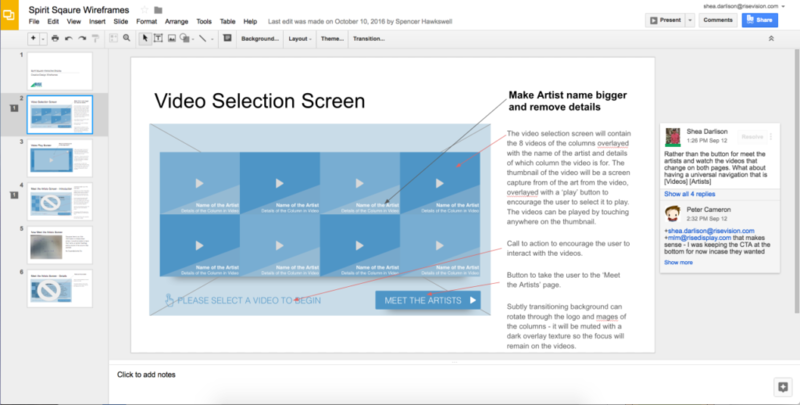 Mockups are detailed images that we use to walk you through how your content will look and function. A few rounds of mockups on the right and some photos on the left for inspiration. After a few rounds of revisions, we were all happy with the design and started on the next step; turning the static mockups into dynamic HTML content. 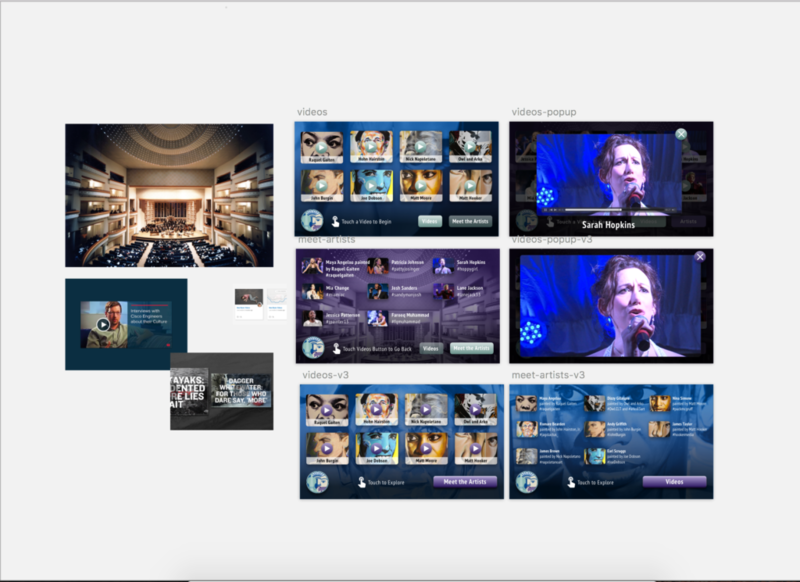 Once we finished building and had all of the finished videos and content, we published the designs to the newly set up kiosk. The end result of the project. Interested in trying out the content? Click here to view the finished Presentation. Overall, the project has been a huge success! 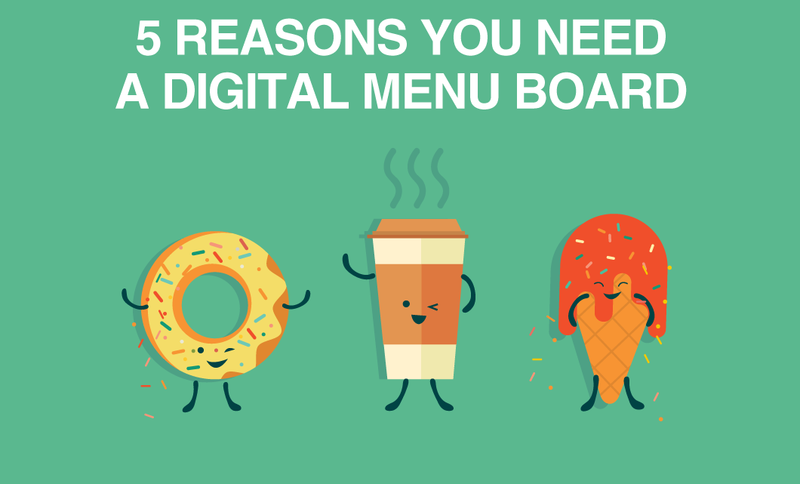 A huge takeaway from the entire process has been the fact that digital signage is a content consuming monster that has to be fed. Once there’s a screen up, people expect it to show something and for that to be constantly updated. To maintain fresh content, a team of 5 employees spend about 1-2 hours a week updating schedules and content. Management has especially been pleased with the team’s ability to quickly deploy displays. As for future plans? There doesn’t seem to be an end in sight for Blumenthal. Every time they think they’ve run out of places to put a player, another project comes along! We can’t wait to see what else they roll out.